I’m back and the flat is festooned in washing, it’ll take me a week to get straight. 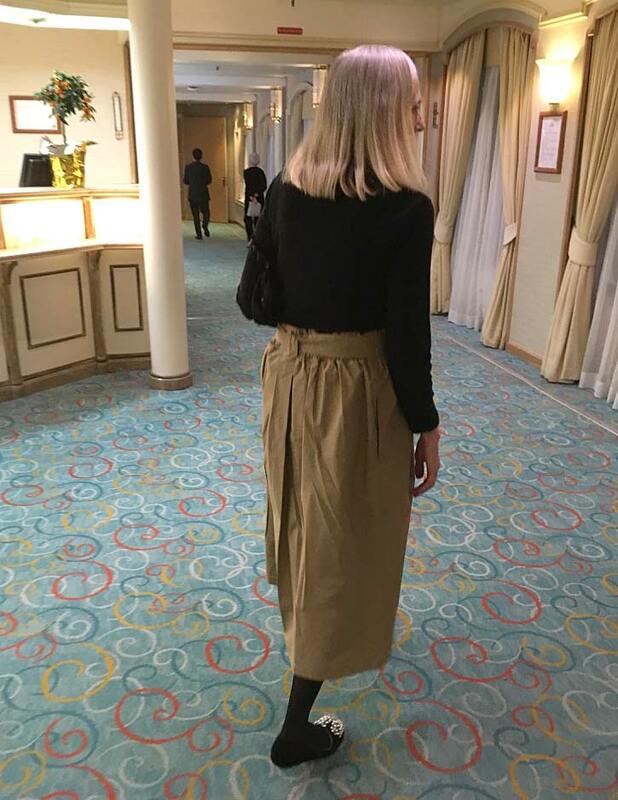 We had a great time and loved nearly everything about the holiday, but tbh, it’s rare for a holiday to be totally perfect and like a curate’s egg this cruise was good in most of its parts but not all. Before I sum up the holiday, and show you some pics, can I say that the blog itself has been through the ringer because in the middle of the holiday, when we were without any access to wifi, my host platform was shut-down, and the blog wasn’t available to anyone. So, if in the last couple of weeks you tried to take a peek at the blog and found a 403 page many apologies. I was devastated about this but we could do nothing until we got back and then it’s been the Easter holidays (Happy Easter everyone) so we couldn’t work to resolve this until after Easter. Now, and at last, everything is back to normal. Phew! Anyway, rather than ramble on about the cruise and each and every stop (I’m so not a travel journalist as my brain goes to mush when I’m away. I never pick up a pen to write a single word, which is so unlike me at home – but hey, I’m on holiday!) I’ll give you a couple of negatives and a few more positives about our time on the Braemar. Let’s start with the good things! The people on our table were such good company. That is lucky because it’s very serendipity who might be on your table – see below in the negatives. The places we went to were great, especially Malaga, Seville and Lisbon. I love cities. In the different cities we visited we didn’t rush around on organised ‘tours’ but instead sat around, had a coffee, people watched and drank in the atmosphere. The staff on board (and the Captain) were the best. 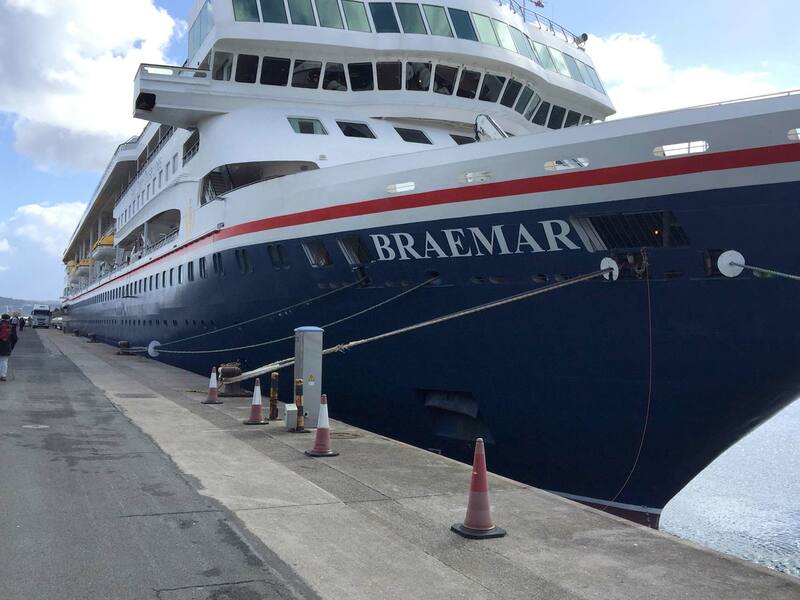 In comparison to those ghastly ‘block of flats’ type ships our ship Braemar is a sweet little old lady of a ship that looks like a proper ship. See those portholes near the waterline – yup that’s where our cabin was. 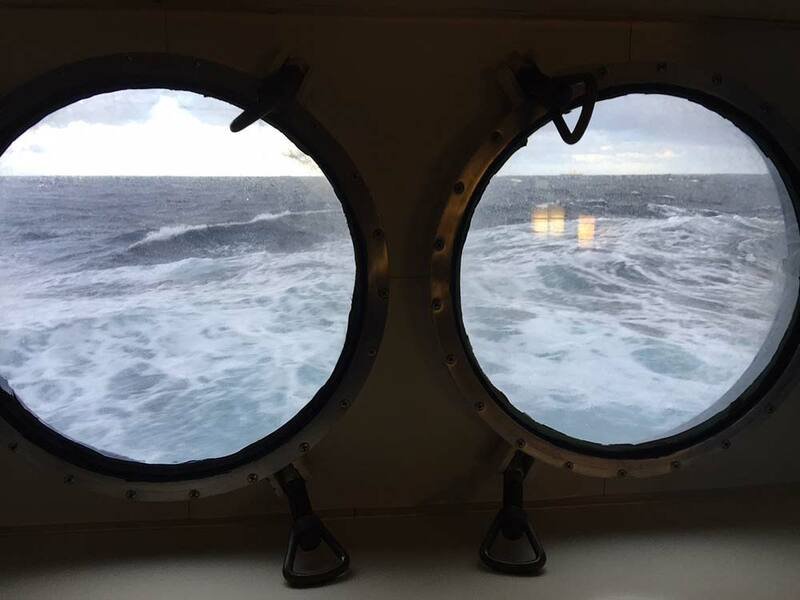 That’s the view from inside our cabin – on a good day! We also met some great people on board and I even had some in-depth conversations on Brexit. As you probably know I’m very against leaving the EU, so it was interesting to meet with people who are passionately for leaving the EU. Look, I live in Brighton and I just don’t meet people who voted leave!!! And may I say all the conversations were amicable and about (on my part certainly) understanding why people voted the way they did. I loved the dressing up. But, perhaps cruises are not the best holiday for us. And why? Where to start? OK, the entertainment. I’m open-mouthed at the delight people feel about the all-singing and dancing ‘shows’. We went to two and they were lovely and so much effort put into the singing and dancing. But, nope, it’s just not us. Also the disco started at 12.30am. When the disco starts at 7.0pm that’s when it’ll be the kind of onboard entertainment I like. I just don’t do ballroom. Why? Because in my teens and twenties and thirties it was always disco in a dark dive, a la John Travolta. If we had more of that then I’d be dancing the entire time. And no cinema. Actually the choice of films in our cabin (that we could stream down onto our TVs) was good (they even had Three Billboards) and during the fortnight we watched four films. But if there could have been a large screen somewhere it would’ve been better. I always forget that I’m not a good sailor! However, the tablets work, which was just as well as the seas were occasionally rough, and very rough in the Bay of Biscay, and unlike those big ships that plough through everything our little ship rocked and rolled with the 5-metre waves. We had some great conversations with people of all ages. But some of them did go on a bit about how many cruises they’ve been on. Or were faintly surprised and astonished that we had only been on 6 cruises in 7 years, when they did that number every year and had been doing that for 20 years or more. Gosh, is all I can say. Out loud that is! As a result, we aim to do holidays and cruises somewhat differently in future. Have you come across the Hurtigruten voyages and expeditions? It started out as the Norwegian car ferry and post delivery service – and still is. But it’s developed its cruising side. We’ll probably go on that next year as it will be a great opportunity to visit nearly every port in Norway (which I adore) and meet ordinary Norwegians rather than cruisers. Seriously though, it was great break and a good holiday, but it sure makes you appreciate being back in your own bed in a silent and stationary bedroom. And now for a few pics. Here we are embarking. It was snowing down south on embarkation day. I was glad of that cup of tea! The inevitable pic they take as you board the ship. Usually both of us look awful, but this one shows how happy we were to start our holiday. It was still freezing cold in Corunna our first port of call. That bargain Michael Kors coat came in handy I can tell you! I had several layers under it as well. The first formal night gear. 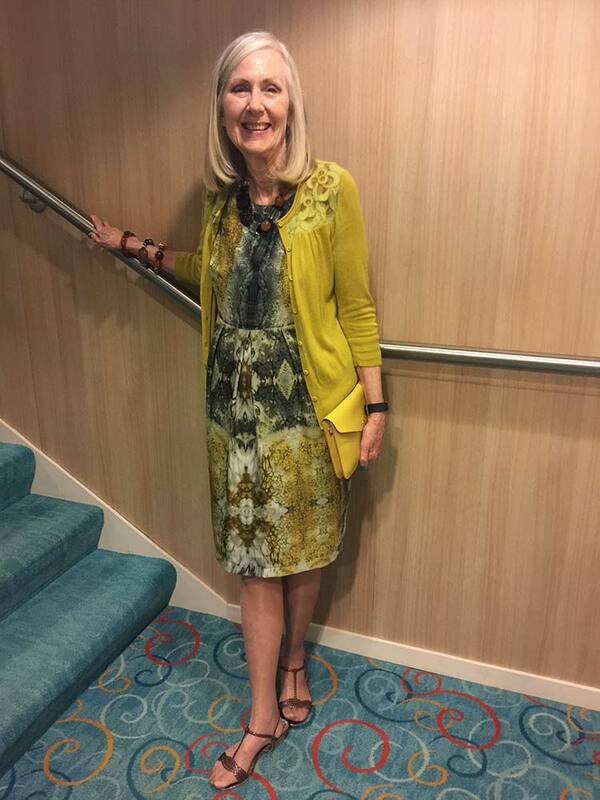 All dresses worn on the cruise were bought from charity shops and all bar one (at £15) cost £10 and under. You can find anything in a charity shop and that includes clothing of the highest quality. This dress is very forgiving as the fabric stretches. You can see more of the dress below. My goodness, note the hair – still growing out the dyed blonde bits. I’m well wrapped up as we travelled down the coast of Spain. Those are the pink jeans bought in Peacock’s for £16. Actually, as we went further down the coast it began to warm up and by the time we were in the Mediterranean there were several days that reached 18-20 C (approx 65F). On one of those warmer days we went up to the top deck and were astonished to see people in the swimming cossies baring their flesh and sun-bathing. This pic shows how far I went! I think Mr Frugalfashionshopper took off his woolly jumper! We do not do the sun-bathing thing. Here’s a dress I wore for the ‘Smart Casual’ nights. I don’t do casual so mostly wore dresses. Here’s another – it’s that lovely one I bought recently for just £10. I could have worn this dress for a formal night. And I’ll just have to find an excuse to wear it in Brighton. 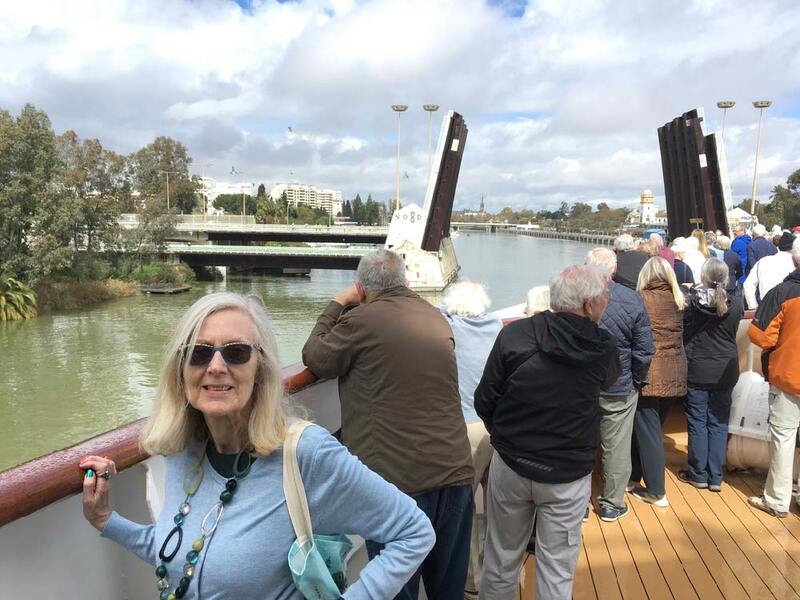 Our little ship took us up the river to Seville, through a lock and an amazing bridge that swung upwards to let us through – with not a lot of clearance either side! It’s still not all that warm. Once in Seville we walked into the centre. It was Palm Sunday and this is what we saw. 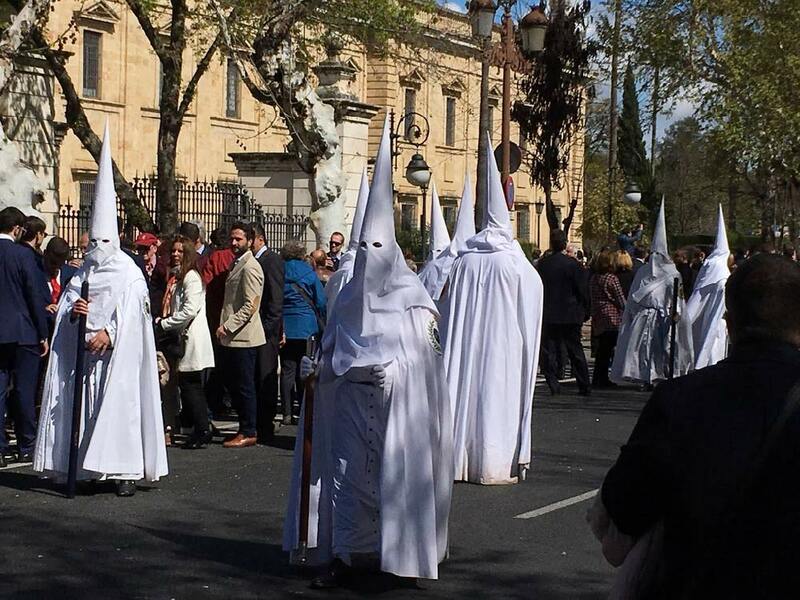 Seville is famous for its many Holy Week processions performed by brotherhoods some of whom originate from the Middle Ages. We felt privileged to be part of this ancient tradition, because it was quite accepted that you could run alongside, take photographs and even join in and go with the people following the procession. It was noticeable that all the Spanish were dressed in their ‘Sunday best’ and we felt a trifle scruffy in comparison to the besuited young men and the women in their lovely dresses. At first sight, I have to say those costumes looked very weird. But one should always attempt to understand the culture of the places you visit and respect the traditions that are not yours. These costumes are penitential robes worn to celebrate the Passion of Christ. All the participants carried long navy candles and some were walking barefoot. Every brotherhood carries a ‘Pasos’ or float that depicts scenes from the gospels. Some of these are centuries old. The one we saw was covered in silver and candles and was dedicated to the sorrows of the Virgin Mary. Actually, it was awe-inspiring, and I’m an atheist. At the same time it was obviously a happy holiday occasion and it was great to see so many families out enjoying themselves. Respect to the people of Seville. Totally. I got bored wearing dresses all the time so here’s what I wore going back down the river away from Seville. By this time it was warm enough not to wear tights! As you can see the evening light was beautiful but here’s Mr Frugalfashionshopper looking at his phone – it was so good to get a connection. 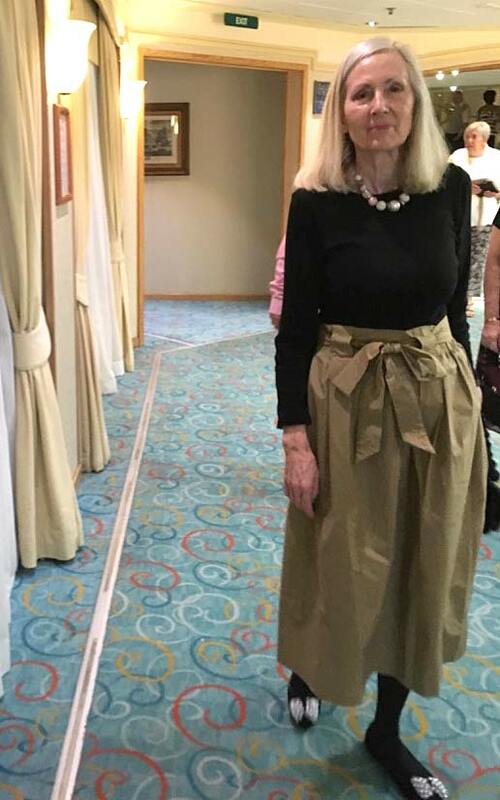 I also bought a skirt in M&S in Gibraltar – yes, I went shopping in the main street instead of taking a tour round the Rock. But sitting having a coffee watching the people is what we like to do on these short visits. However, we’ve decided we must go back to three of the stops: Malaga (loved it), Seville (so interesting) and Lisbon (so much to see). Here’s the skirt. I also bought this blouse (see below) which I thought was good value at under £20. I’ve just read an article on how M&S has improved its approach and pricing and consequently its sales. But, said the article, has it really caught up with how the High Streets are evolving, or not? Did you know that Instagram influencers are really the way to sell clothes? Me, neither, but actually, think on this. Apparently one ‘influencer’ posted herself wearing a dress sold by an online company. The next day it sold out and there’s a waiting list for it. See, not a single shop was involved. That, my friends, is the future. And here’s another view of the hat. 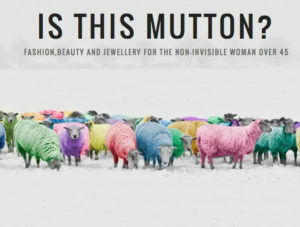 Oops, I need a scarf to disguise my neck – if I was that bothered! Here we’re close to Lisbon in the nearby seaside town of Estoril, which felt and very much looked like a warm Sandbanks. Sandbanks is a seaside town on the south coast of the UK and a place for the wealthy, as is this town as the villas in one estate agent ranged from 1 million to 7 million Euros. There was a cool breeze, which made it very reminiscent of a summer’s day in England. We didn’t take many more photos as there were just two sea days to get us back to Southampton, of which one day (the one in the Bay of Biscay) had exceedingly rough seas. We spent most of the time reading in our favourite part of the ship – a cafe with excellent coffee. By the second week, the staff knew exactly what we wanted and got our coffees without us ordering them! ← What do you do? Hair up or down, bar of soap, bath or shower? Ah, thanks, Lyndsay, we had a really interesting trip, one that has told us which cities to return to. Love your choice of what to wear, Penny, you look great in all those pics. You mention Hurtigruten. We did a trip with Hurtigruten in November 2006 up the coast from Bergen to Kirkenes, then flight back to Oslo. It was not so much a cruise, more an adventure and a brilliant experience. We’d hoped to see the Northern Lights but they didn’t happen for us, instead the stars are amazing and seem close enough to touch. I would certainly recommend it. We think we’ll do a summer trip with the ‘white nights’ rather than a cold winter one, although I do know it can be cold up that far even in June as we had snow flurries when we visited Honningsvag with Holland America in June 2016. We’d definitely like to get as far as Kirkenes, and interesting you flew back to Oslo, as that’s a city I also want to visit. Will think about that, thanks. Looks like you had fun, but I’m with you on the cruising thing. Sshh don’t tell everyone about Hurtigruten! It’s fab and nothing like a “proper cruise” which is why we love it. No entertainment (yey!) wonderful food and wine served in elegant restaurant style and you don’t even have to share a table (yes we are antisocial!) the best bit is getting off at little towns along the route and pottering about watching life go on around you. Oh, and did I mention the most fantastic Northern Lights? ?? Hi Pamela and yes, we really do want to get away from the ‘entertainment’! I mean I know people love it so it’s not something that will change, but it’s just not us. We will definitely aim to go on Hurtigruten – and think it’ll be more our kind of thing. The pottering about in Norway sounds so right for us. However, we think we’ll try it in the summer first – and that’ll be next year. Another trip I’d like to do in Norway is to potter around their train system. 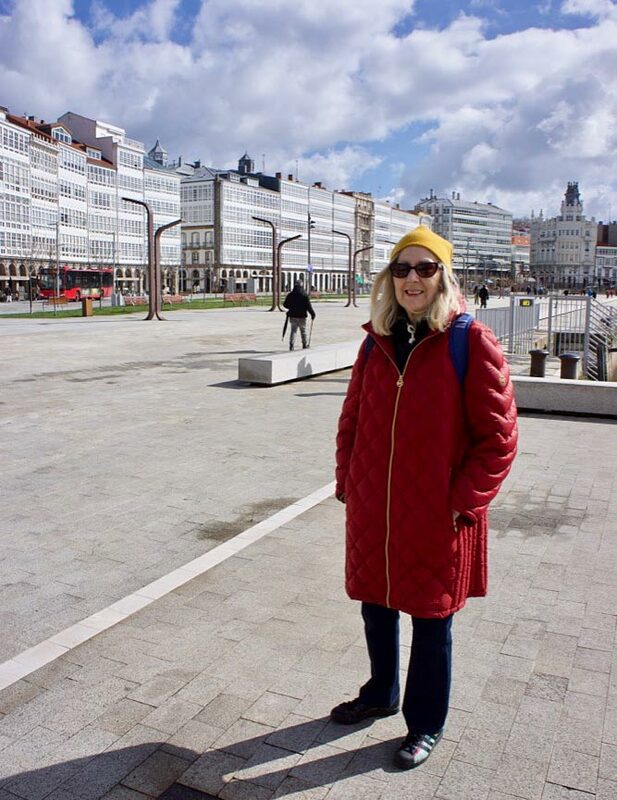 Yes, I look forward to taking a smaller suitcase and fewer fancy clothes (even though I love dressing up) and having more authentic experiences in a country I love – always good to look forward to something! The negatives you describe are exactly the same as my reasons for never having cruised. A work colleague is a frequent cruiser and bores us all rigid with her talk of Platinum this and Diamond that. Give me Quarry Slate any day! I couldn’t BEAR to share my holiday with these aspirationists. Leave them to squash their faces against the windows of the New Kryptonite Lounge and leave the rest of the ship to those who want to enjoy travel… not collect labels and brag about it. You look stunning by the way. Yup we did meet that type who have a kind of pride in the sheer number of cruises they’ve done. My smile began to get a bit rigid as they went on and on. Not to worry as we also met some really interesting people and had some great conversations – thank goodness! So glad you’re back, I was quite worried when I couldn’t find your blog. 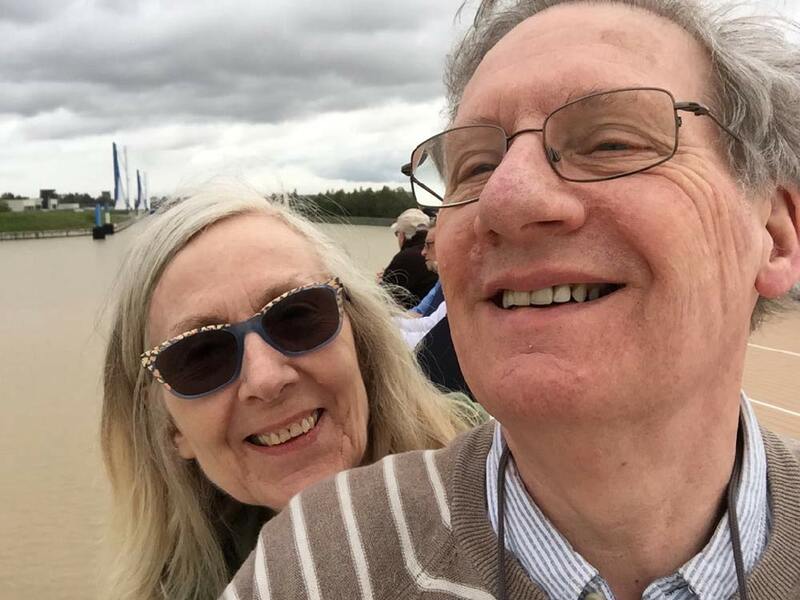 My hubby and I quite fancy a cruise, great opportunity to see places in comfort, but one thing puts me off, and that is the rough seas ! And I live on an island, we have to get a ferry to get to any decent shops. It has to be almost dead calm for me to venture over. I like to cruise but avoid rough seas. You might think of cruising up the U.S./Canadian West coast from Seattle or Vancouver to Alaska or the east coast from Montreal or Quebec City down to Boston or New York. The ships are not out in wild open ocean. Well, all I can say is that I’m not a good sailor either, so I take the 300mg Kwells tablets from the start – and they really do work. Actually they were quite difficult to find and chemists were saying there’s this brand you could have instead. On looking at the dosage I could see they were half the amount at 150 – possibly because some people might get sleepy? I never did at that higher dosage – and they are really effective. Finally found some Kwells in a small pharmacy and took them all through the heavier seas we encountered – because you will get these seas wherever you go. For us, the cruise with the lightest waves was the Baltic one. Places for you to avoid are the Bay of Biscay and the Atlantic, North Sea can be tricky as well. You could fly to the Med for a Med cruise or Copenhagen for a Baltic and that might be the way for you. But truly, the tablets work. Oh what alovely pictures! And you really don t need any excuses to wear that beautiful dress in Brighton! I am glad that everything is okay now with the blog! Yes, it was such a shock to find that the platform was shut down so all the blogs and websites were unavailable – it would have been easily resolved if we’d been at home, but we weren’t!!! Your choice of clothes was perfect! I love those “T” strap sandals too! I am guessing that the people going on about how many cruises they go on were British? “Where I have been on holiday” seems to be a competitive game even without involving cruises. I like your plan of people watching in ports rather than rushing on excursions, we do that too. 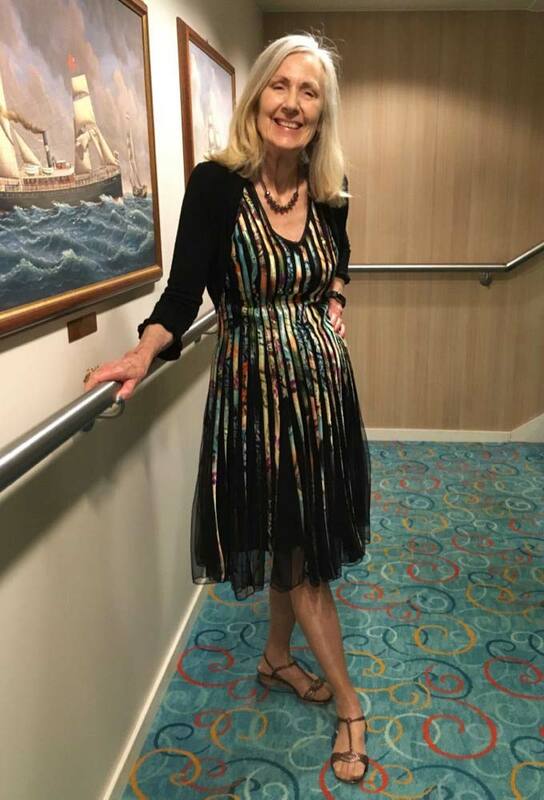 Nice to hear your thoughts about your cruise and you looked very glam as well! We prefer the smaller ships and are going with Fred to Canada in the Autumn. Overall we really like cruising, despite my husband having to be firmly persuaded to go on the first one! I like dressing up and I get the chance to wear some of my large collection of costume jewellery. I always wear a dresses & heels in the evening because they suit me being short. I like only having to unpack once and being on deck whenever possible; so far no seasickness. Like you we do not flaunt our aging bodies whenever the sun comes out and avoid looking at those who do – apparently some people have never heard of skin cancer! I have also asked why the disco starts so late, especially as hardly anyone does ballroom any more although I love watching people who are really good at it. 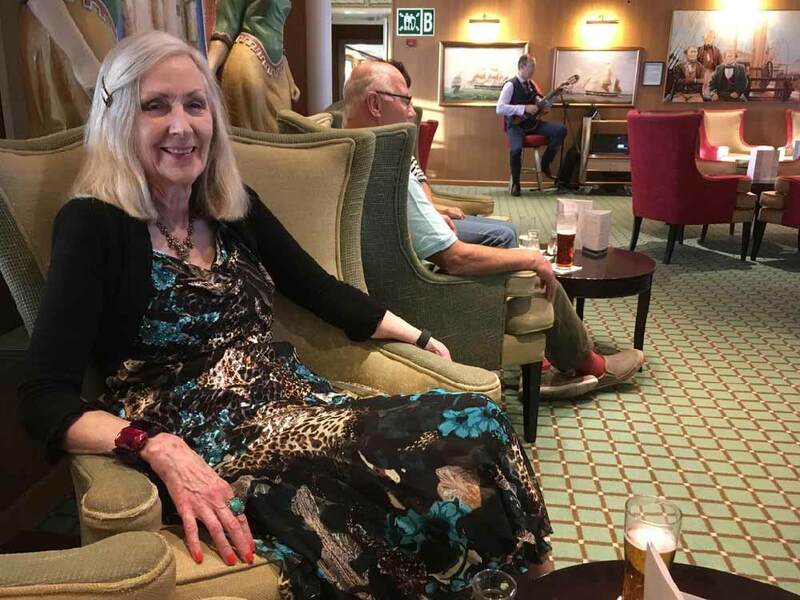 On our recent trip on P&O Arcadia the worst thing was the volume at which music was played; people told me they had complained about it many times before to no result. We could not be on deck in the warm evenings because of it & I had to use an earplug in the theatre where we did have some excellent entertainment. We were in freedom dining so no fixed tables and if we got stuck with cruise bores we avoided them next time! I was surprised how many people always ate as a couple; we like the opportunity fro conversation. However, twice before we had just one other couple with us and luckily got on famously! I had heard or Hurtigruten but chose a Fred trip to make a proper holiday of it , just in case we were unlucky. 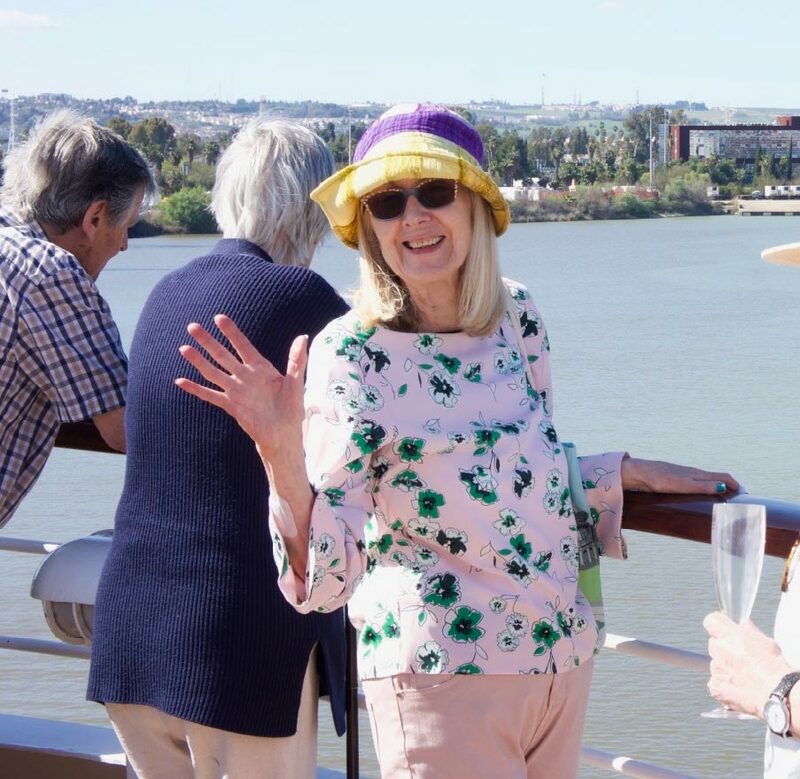 You might like a river cruise with far fewer people, off the ship every day, little entertainment but still lovely food and glitzy surroundings. We went from Budapest to Cologne in 2016 and will be going from B to the Danube Delta in May. It seems a bit expensive but all trips – if you want to go- are included. I think in future (and while we can) we’re probably going to do more city breaks and have slightly more unusual cruising experiences (like Hurtigruten). I found Fred very friendly and the staff and the captain were outstanding, food was lovely as well. But I think we’ll try something else for a change for a few years. Btw, I hear very mixed reviews of P&O and the music noise is just another reason not to go on one of their ships. Your next trip with Fred sounds so good and I certainly want to do Canada in the Autumn – enjoy! 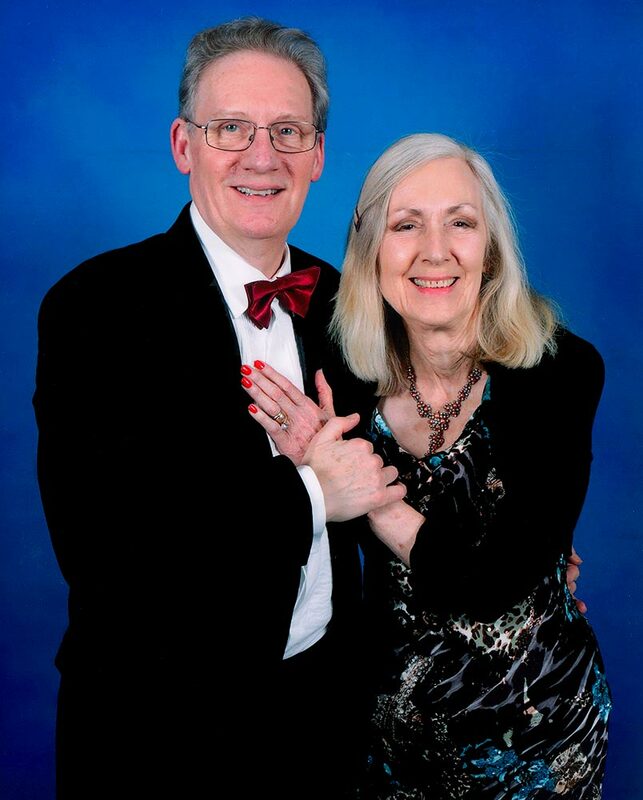 And yes, I do love the dressing up and I too have some great costume jewellery – most people dressed every evening and not just for formal nights, which was just lovely. And I too wish that the disco was at a more normal hour. I’m the same generation and about the same age as the Beatles and the Stones. 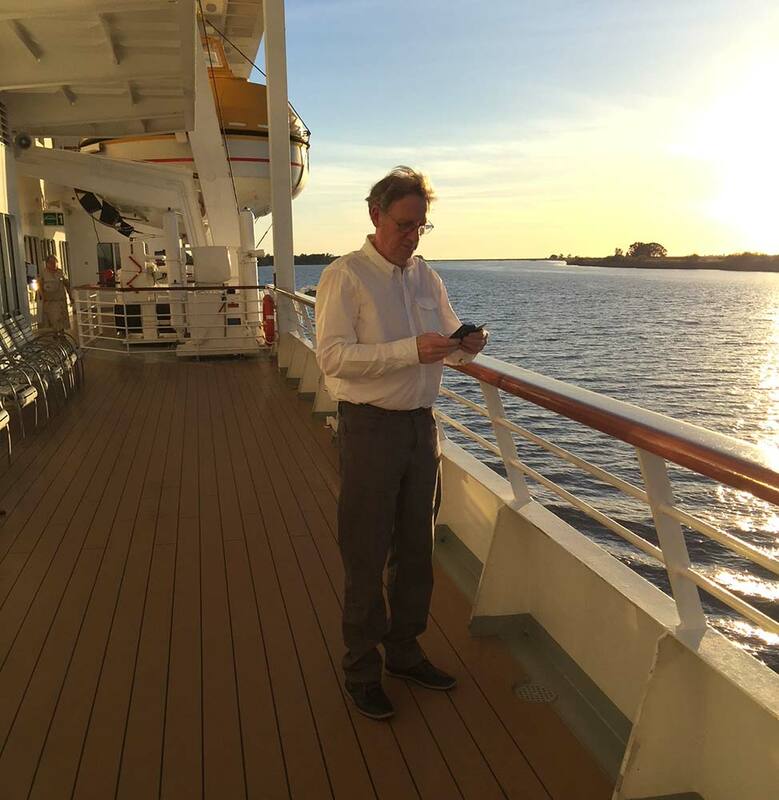 Cruise lines, even the small ones like Fred, should take note of the up-and-coming post-war baby boomers. I think they’ll have taken note when their on-board gentlemen dance partners look more like Mick Jagger!!!! You look marvelous! Thank you for sharing this cruise info. 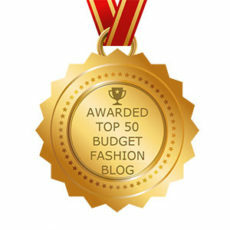 Welcome home Penny … So good to hear from you again, and pleased you and Mr Frugal fashion shopper enjoyed your holiday. Thank you for telling us about it and the photos, you looked amazing, as always. Loved too the strappy sandals, look good on you. Never done a cruise ourselves, like to make our own entertainment, and like you soak up the atmosphere and people watch with a coffee or a glass of vino,. Might take a peek at Hurtigruten voyages. 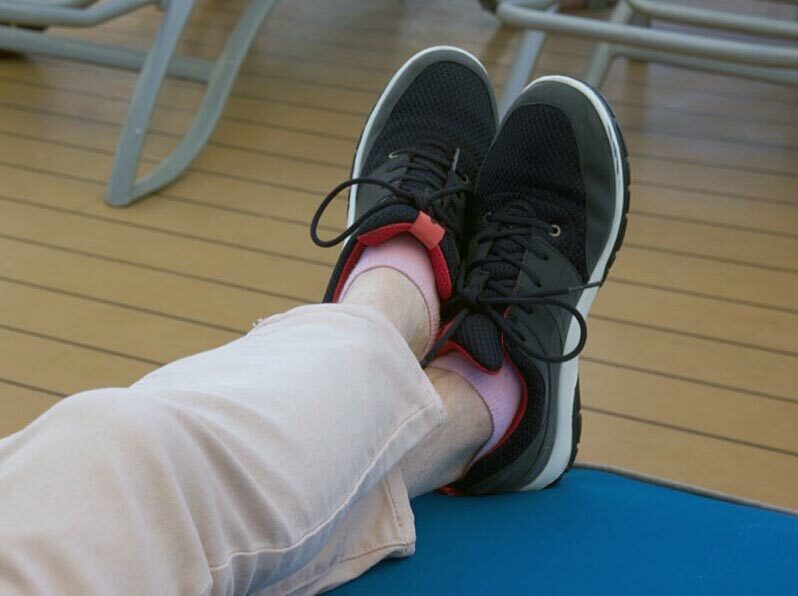 We’re going to avoid the more conventional cruises for a bit, as also, there’s something I didn’t say about them which I don’t like, and it is that they’re very rushed – the ship is constantly on the move, well obviously, but I want to stay in one place for longer. However, the Hurtigruten ferry cruising sounds as though it’s quite an experience and that’s what we want. Washing is nearly finished! Fabulous. You look lovely and your hair looked particularly gorgeous. The skirt you bought in Gibraltar is fantastic. I have never been on a cruise. I suspect I might like some aspects but not others. 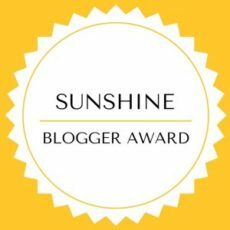 Good to read your blog again! Carole. Well, the thing is I’m with you there, as there’s things I like about cruising and things I don’t. Thanks so much for your comments, Carole. 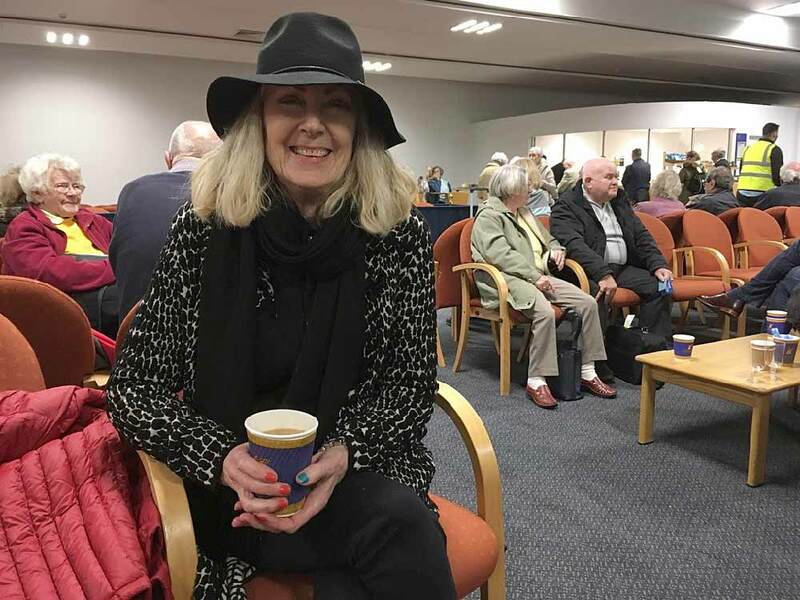 Thanks for sharing your holiday with us Penny.Loved your choice of wardrobe too.Just goes to show,it doesn`t always cost mega bucks to dress well as you`ve proved.Good to see you back! Love your dresses, very smart. And the tights outfit, which I think can be hard sometimes to pull off, but you definitely did. Thank you so much. It was great to wear the dresses but it’s also good to be back! Yes, that ‘bug’ was a real pain – easily rectified when we got back! It was a good cruise but also good to get back. Cheers to you to! How wonderful! Loved all the dresses! Thanks do much for sharing! Always good to share the dresses with you all, thanks so much for your comment. Thank you Gill, yes the dresses are there, one just has to search through the racks to find them! Welcome home Penny. I enjoyed your pictures and your thoughts on cruising – both good and not so much. I have never been on a cruise and at this life stage no intention of doing so, I think it is seeing those huge cruise ships with so many people that really puts me off. We are planning to revisit Spain and Portugal later in the year and hope to get back to Lisbon and Malaga. You look lovely in your travel wardrobe , especially your dresses and skirts. Actually Jill, we’re going to give the conventional cruising a miss for a bit. We fancy the city break and definitely want to go back to Malaga (for all the art galleries and museums) and Lisbon (especially the Gulbenkian). I shall miss the dressing up though, but will just have to create occasions to wear the dresses and up my game on trips into town! Interesting reading! !, and nice to know that there are some English tourists who appreciate the culture here in Spain!! I’m not remotely religious yet I find the Easter processions emotional, although now I just watch bits of them on TV. I too love the cities you visited, Lisbon is a favorite with me, as is Portugal in general, so close yet so different to Spain. Love your dresses, and the way you obviously love to dress up!! You look very happy doing it! Oh, I believe that one should always, always attempt to understand the culture of the country you’re visiting. You miss so much if you don’t. Welcome back Penny, lovely photos you looked fabulous, loved all of the dresses but especially the green outfit and that beautiful £10 dress! I’ve never done cruising, my sister in law,who is a recent convert to it, tells me that I would love it but I’m not convinced. I find it difficult when flying to be with hundreds of people for one day, I think I’d go crazy if I had to cope with the crowds for a week or more. However I don’t know anyone who’s done it and didn’t like it so maybe I’m the odd one out! A little house be the beach is my ideal and this is what we’re planning in May, can’t wait for some sunshine. Hope you’ve tackled all that washing. For our next holiday we’ve booked a little cottage in a small town in Suffolk as I want a bedroom that’s silent and still! The thing is cruises are sold as glamorous and restful – but are they? Actually they’re very busy in so many ways. I truly enjoy going to different places, meeting people and being part of a big ship (I love the sea, even when it’s rough) but even the wonderful food gets to me in the end – it’s all too much. So instead, in future, we’re going to find cruises that are not sold as glamorous, but as an adventure, because, we think, do it while you can! Welcome back to stable land. Every outfit you wore on the ship was perfect. “The Lovely One” will always be my favorite. What would some of your fellow passengers think of Michael and I? We never have been cruising and I don’t think I could ever get Michael to go on one. I guess we just like to explore. I do know it’s a chore catching up when you get back from a major trip-hope all is going smoothly. 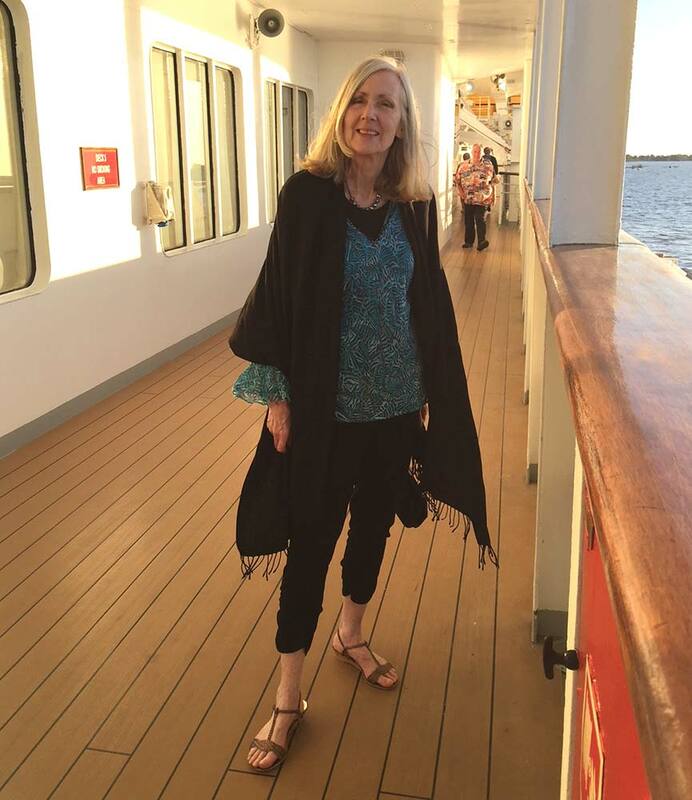 I was amazed how far Americans travel to go on a cruise – our experience of Holland America was that some travelled 18 hours and more to get to the ship – just wow! Actually, we’ll be giving conventional cruising a miss for a bit – we also want to do more unconventional exploring while we can, which might include a cruise but one not with ‘entertainment’. The thing is they’re catering for a certain kind of client. When the ‘gentlemen’ dance partners look more like Mick Jagger I’ll be back for that kind of cruise! Washing is done and the quiet bedroom is bliss! If you take sea sickness tablets everything would be fine – they do work! Hi, we took friends with us a couple of years ago. She had put off cruising for years as she was adamant she would get sea sick. I told her that I couldn’t manage a ferry to the Isle of Wight as it made me very ill. But a large cruise ship is not the same. They are much, much smoother and travel sickness tablets are brilliant. She had a great time and wasn’t poorly at all. Go for it! Gosh, I’m glad you are back Penny! I couldn’t get to your blog and I was worried something might have happened to you. I live in the Andalucia region, so it’s very interesting to read about you taking a cruise here. I first thought “did they take the cruise on the river up to Sevilla?” Yep, you all did! 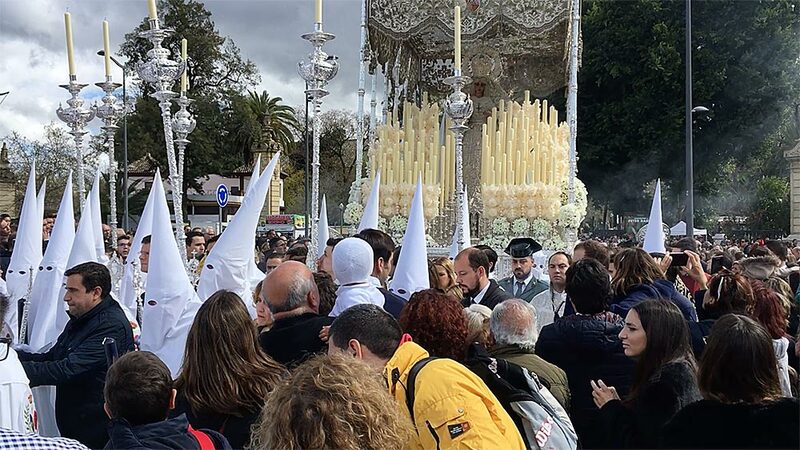 The Semana Santa processions do look odd. I’m American and the super racist KKK wear identical robes, so it’s always weird for us. I do know that their traditions date way back farther than the KKK. Also that’s interesting that you had brexit conversations. I’m not a brexit fan either and it’s hard to imagine why anyone would be. But I’m glad the conversations stayed civil. The ship was small enough to go up river which was amazing as were those processions – it’s always good to understand other people of all nations and views! But Brexit, it is so hard to accept!!!! 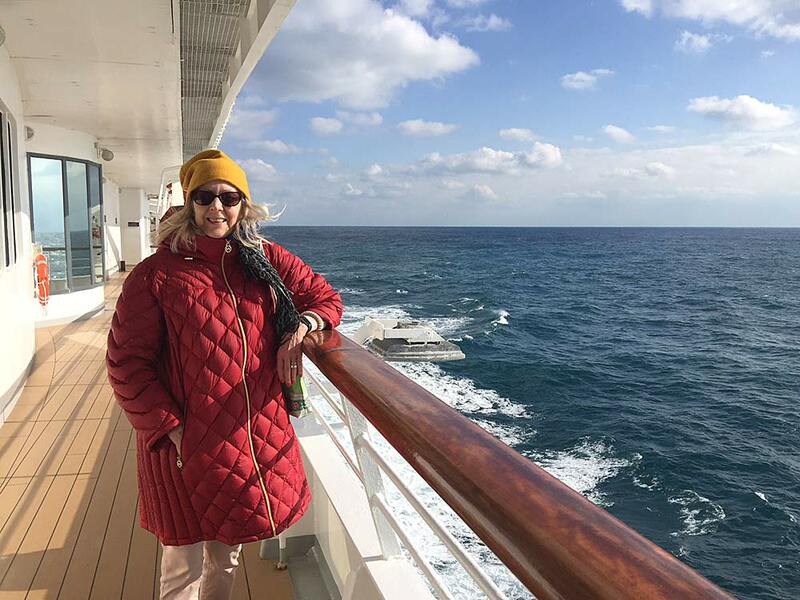 Penny, what a grand adventure you had on your cruise, it is always so fascinating to visit new places and experience different cultures. 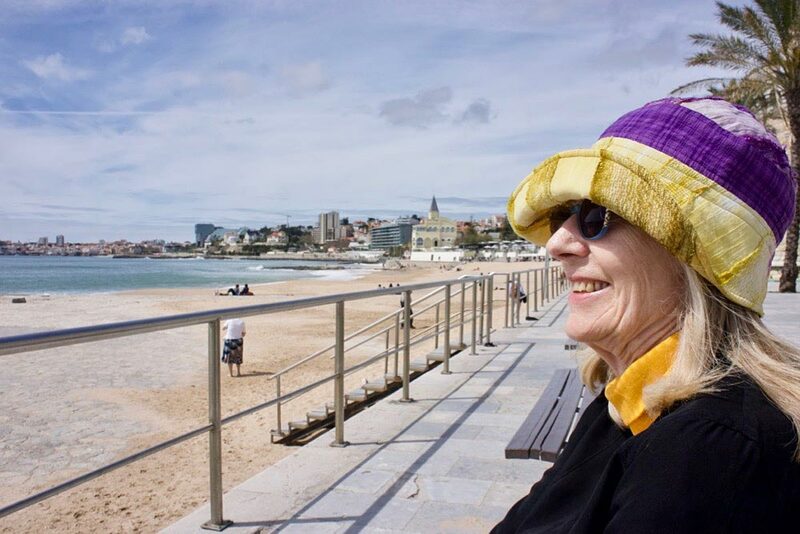 Your wide-brimmed hat and your very fun yellow and purple hat are excellent travel companions; very adaptable and packable! 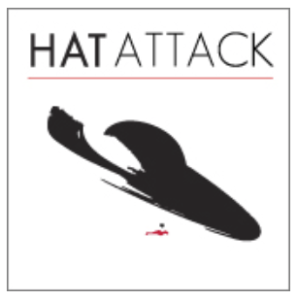 Thank you for sharing with Hat Attack! 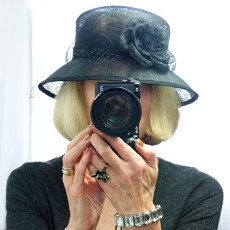 I have another hat blog post in mind as well! 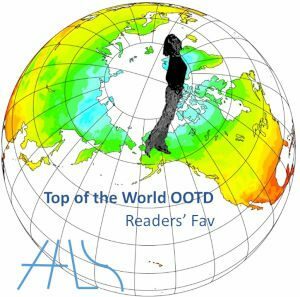 Always pleased to be on your blog – thank you so much for hosting. 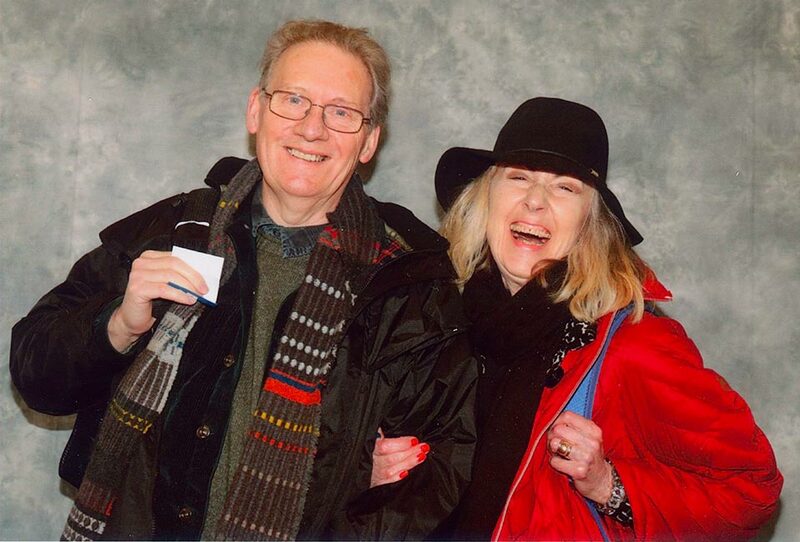 Really enjoyed this post – you both look so happy! And how glamorous you looked. 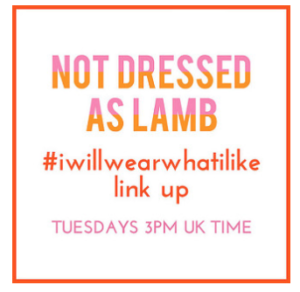 I said before how I love that £10 dress and I still do! The M&S skirt worn with a black top and necklace looks incredibly stylish. Thank you Gail! It’s interesting that M&S seem to have changed their products a bit and made them cheaper. The skirt will be a great warm Spring and early Summer skirt, I think. I just ‘tuned in’ to see if you were back and you are! Sounds like you had a good time. Your dresses look lovely and I’ll bet you felt great knowing that you hadn’t forked out a small fortune on them. Haha, I am much more a fan of the ‘apartment block’ cruise ships than small ones. I like the space, the fact that there are multiple bars, restaurants and entertainment venues to choose from, and the option to sit with different people every night for dinner. Glad you managed the notorious Bay of Biscay ok! Well actually, I think I’ve ‘had’ small ships for the moment – there isn’t one big reason, just lots of smaller niggles. And as these holidays cost such a lot we’re saying we think we can do without those (very small) negatives and perhaps do it differently next time. So first we’ll be more adventurous and do the Hurtigruten thing – in summer 2019. But which larger vessel would you recommend? This would be for the following year in 2020. That’s thinking ahead a bit but I like to do my research! My favourite is Celebrity Eclipse followed by P&O Azura, though I haven’t tried many different cruise lines. We’ve mostly done P&O. The bigger the ship, the smoother the ride so that is a factor for me too. Every so often we get ‘all cruised out’ but give it a year and we’re raring to go again. I would like to try a river cruise sometime. By the way, LOVE the greenish coloured dress and cardigan.